"The Quality Of The Work, You Can't Beat It!" 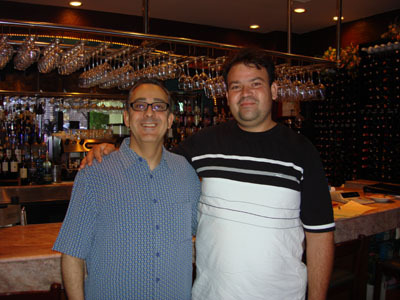 "I found Adilson on Google, and then we checked him on the Better Business Bureau. 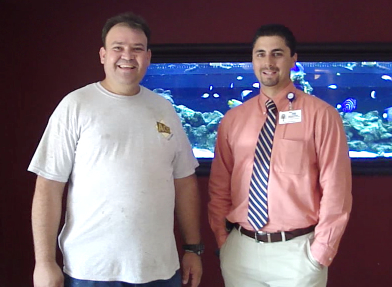 Adilson and his staff are hard working, professional, honest; they did a quality job and they got it done on time. Everything's cleaned up and they did a terriffic job, we're so happy with our floors, with our kitchen, with our bathroom, everything looks terriffic. He gave a lot of suggestions and he even took down our step and grated it so no one could fall down there. His price was great and he does take credit cards too. The kitchen looks terriffic, the granite countertops, the backsplash, we love the wood cabinets, the bar is all changed out. We love the handles. Everything looks terriffic. We would totally recommend you to all of our friends, anyone and even people we don't know and we would use you again for any other project. The quality of the work, you can't beat it! Thank you so much!" 1,750 SQ FT of Mexican Tile throughout the entire house. Also, remodeled the kitchen. Entire project took 2 weeks. "It's Exactly The Way I Wanted"
"I am so pleased. Everything is beautiful I couldn't have asked for more. He was reasonable on the price, and these guys were very clean and worked quickly. Look at the results! (shows her new floor). The floor is clean, the grout lines are tiny. It's exactly the way I wanted and I'm very happy. Not high not low (reguarding to floor leveling) I would recommend you to everyone. I'm going to tell all of my friends in Coral Springs and Margate because I think he's actually the best tile setter. Thank you! and Thank you for your business!" 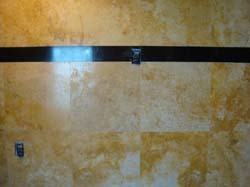 Acis Tile Of Florida installed marble on: bathrooms, kitchens, hallways, closets, door entrances and many more place inside the house. 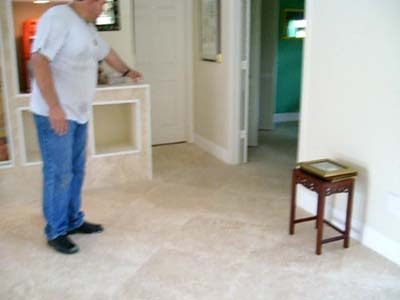 "Acis Tile Of Florida came in with a very fast quote. And we needed the work done to be completed in about a week and half time, and since the beginning, great communication, the craftsmanship was amazing, any little issue that we had they were very quick to make the customer happy. Overall a vey good job. Very high quality. Their team member is very clean and courteous. And no problems whatsoever. Thank You Very Much Adilson! I would highly recommend them to anyone else who is looking to do a large job like this. "I really enjoyed working with you, the job looks great. I would definitely recommend you to my family and my friends. I didn't have to supervise my friend here; the job came out perfect. I would definitely recommend him to anyone that comes across the need of a tile person. A job of 1,500 SQ FT took about less than 2 weeks to do or a little bit more than one week. Perfect job. Flawless! Thank you! I'm very happy." "They did a good job, they were on time and they did an excellent work! - Hi, I'm the owner of Acis Tile of Florida and I'm here With Mr. Yacoub. and he liked the job. Also we used a grout line of 1/16. - Did you like the job? - I like the job and I recommend Adilson, they did a good job, they were on time and they did an excellent work! - And about the price, it was good, did you like the price? - I shopped around a lot and was a great price! - What about the time? Did I do like I told you? - They were on time, and you know they did a lot of work, they came and did a great job, spent a lot of time in, came on time and spent full days, they did a good job...they are fast. - Hello, my name is Geza Hegedus, these are my daughters, Maya and Jamie. And I just want to say a feel words about Adilson and his crew. Their work it's been exceptionally awesome, they came in here and within 3 days they tore out the whole house tile and lay the rest of the new tile in 3 days! Unbelievable! I was expecting well over week. - 1000 SQ FT, the attention to detail...I want to bring this up, because...you can ask my wife about this...I'm very complicated when it comes to detail, and this guys on their cuts attention to detail has been awesome. I highly recommend them, their work is fabulous and I'm very happy with the work. - What about the "French pattern diagonal", have you seen this before? - I haven't seen this before, they did "diagonal French pattern", if you see it is very complicated, is a lot of work to do this. Like I said, three days, the whole house was done, I'm blown with them! He did nice, clean, fast, neat...Everything is Beautiful! Wellington, FL. Why did you replace your tile, Mr. George? 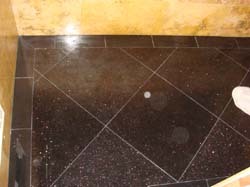 note: Mr. George Ranallo replaced a very slippery tile with marble. Before white slippery tile with ugly dark grout. - It's easy to fall down. Like 6 to 7 times...And I don't want anyone hurt anymore. Adilson: The marble is not slippery. It's smooth. Adilson: What you think about my job? Did You like my Job? - I have no complaints. Everything is going perfect. You're ahead of schedule. It looks great. - And what about the price? - The price is very good. - I'm the owner of Acis Tile of Florida, my name is Adilson Andrade. I'm here with George and I did his house here in Wellington, FL. - I did 2500SQ/FT of marble floor for him. Almost the whole house. - What you think about my job? Did You like my Job? - I'm very happy with the job. I think Adilson is the best in this business. - The price is better than anybody else. - The best price I've got. - Thank you. And What about the time? - You Finished one week before the deadline. - What about the shelves I did for you. Do you like the shelves? - Well, take a look on this, is gorgeous! Is Unbelievable! I'm So Happy! - I'm happy with the whole job. He did nice, clean, fast, neat...Everything is Beautiful! - Thank you very much! Do you recommend my work and price to everybody? - I recommend you to anybody. "Hi, my name Enry. I am here to really vouch for Acis Tile Of Florida. They did a wonderful job. They're dependable. They are reliable. And I recommend to anyone. I am so happy. Thank You!" 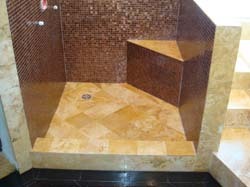 "I had the pleasure of doing a contract with Acis Tile Of Florida. I must tell you that they did a fantastic job. They're trustworthy. Their workmanship is impeccable. They're neat. And I would recommend them to anybody. Thank You!" "I've spent good couple of weeks looking for the right tile person. And I when I've seen his work, I knew this was the guy I wanted. They came here on time. The quality is excellent. 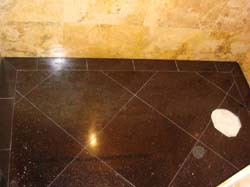 You can tell true craftsmanship when you see the lines are straight, when the light hits the tile, a nice shine. The price is excellent. I couldn't find a better price. I appreciate it and I would recommend it to anyone." 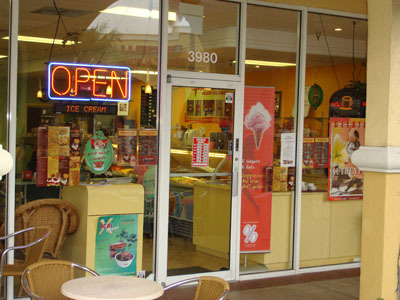 My name is Eduardo Fentanes, I am the owner of Cornerstone Gelato Ice Cream located over the Deerfield Mall 3980 W. Hillsboro Blvd. Deerfield Beach. I know Adilson Andrade for a few years already. And I recommend his services. He's very professional and very reliable. He has provided some services for me in my store and also in my house. He's very good at what he does. He's very reliable. And I wish him the best and be successful. Good luck Adilson and I recommend your services. love everything you did for us! "Thank you, Adilson, Bessie and I love everything you did for us!" "Hi, my name is Marta Cerny. 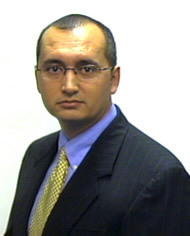 I am a realtor in the Boca Raton Area for over 20 years. I have met this man about 6 years ago. Ever since then, he has made several awesome jobs for me. I would recommend him to anybody. If you need any questions answered, please give me a call. Adilson did 6 properties for me and I have been proudly recommending him to anybody that I sell properties to. And that needs a good job to be done for him"
Fax: (561) 394-3464 We've installed hundreds and hundreds of SQ FT of ceramic tile for Mrs. Martha along 6 years. 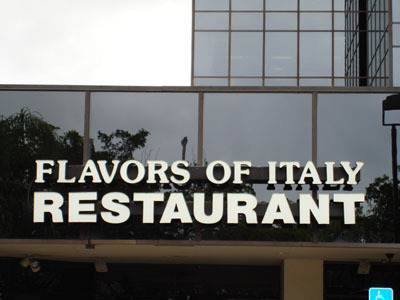 This is Guido, I am the owner of Flavors of Italy here in Coral Springs Florida. The address is 3111 N. University Drive. Adilson here did 4 jobs for me. Great and wonderful. He did the bar. He did my terrace where people now can dance. The front of the house and the bathrooms. If you want to come and see his work, you're welcome. And I would highly recommend him. His work is impeccable. He's on time. He's one of the best guys in the business that I recommend. That's how we feel when we come home and step on Mr. Adilson R. Andrade's work. 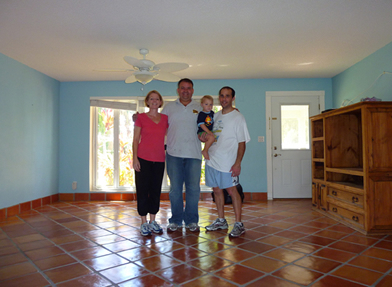 He did the floor of our newly bought Florida home, transforming it from dull carpeting into a bright tile and wood welcoming. Mr. Andrade went beyond the call of duty helping my wife and I choose the right kind of tiles and wood flooring, going to several stores until we had the correct amount of the right color for the existing surface, he removed carpets, broke old tiles, dragged kitchen machines to retile under them and much more. 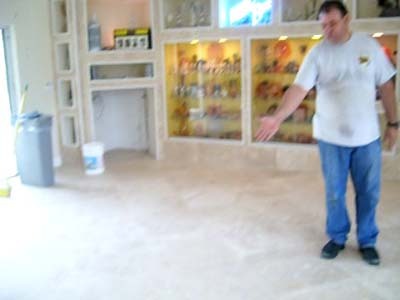 His work is professional and reliable and he did it totally unsupervised because we were still living in New Jersey at the time and it was a pleasure to walk into our new home and find this warm welcome floor. We strongly recommend Mr. Andrade's work to anyone who is demanding of artistry and competence. "Yeah Definitely, It Was A Great Job"
"We had ACIS come in and do the whole house in the 2 foot, rectified tile here, he floated the whole floor was a what do you call that was before? Terrazzo! 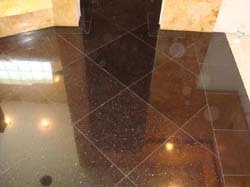 Floated it over Terrazzo and, very good job! Nice and even and wanted to find someone to do a good job on my backsplash. Very affordable. I looked all over, I had like 5 or 6 quotes. It was a good fair price." Interviewer- "So you definitely recommend Adilson to other customers?" Jason- "Yeah definitely, it was a great job. I appreciate it." "I thought it was fantastic. 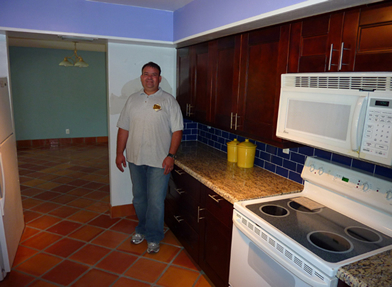 The entire process went smoothly"
- Testimonial from Mr. Perez in Coconut Creek. Again this is Adilson and little bit more of the work, lots of work was done here. So are you happy? Everything went right? Before you had laminate in here. Where did you have laminate? Everything here was laminate. - Actually was white ceramic tile with wood laminate on top. So they took out all both. 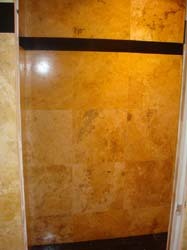 - So Adilson with Acis Tile took the whole thing out and replaced it with 24x24 inches Tuscan Cream Travertine. Ok thank you so much Mr. Perez. Again this is Adilson, what is the website again? - And if they want to call you directly? - When you call Adilson and You like to have a work as beautiful as this one, hi's going to do that for you. - I'll do the best for everybody. My customers are happy after the job is completed. Everybody loves my job. Thank you very much! - As you heard the word from Mr. Perez here in Coconut Creek. Mr. Perez: "I thought it was fantastic. The entire process went smoothly. They helped me move my furniture all way to the garage. Showed up on time every day. The told me it would take one week to install and that's exactly what it took. 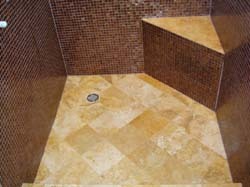 750 SQ FT of travertine. It's easy to keep clean. I absolutely recommend Mr. Adilson." Mr. Adilson R. Andrade, thank you for the professional installation services your company performed on my tile flooring. The job was done in a professional workmanlike manner. Your installers were courteous and professional, and I would definitely recommend your services to others who need tile floors installed. God bless you. "The job was very good. Excellent! I would recommend to everybody. It's so a such a different change. It's beautiful, everywhere. The detail, that's the important thing. The detail is excellent. A lot of people wouldn't take so much time, I think. All of you have done a really really great job. Thank You Very Much!" "I was very pleased with the work. Really nice edges. Very prompt service. And they did a really good job. We will be laying 24 inch rectified porcelain in the rest of the house in about a couple of weeks and we will bring them back to do the job. The price was very competitive. Price is always a factor. They did a really good work at a very good price. (After a free estimate visit we are allowed to provide their contact reference. They loved the bathroom remodeling that was completed). 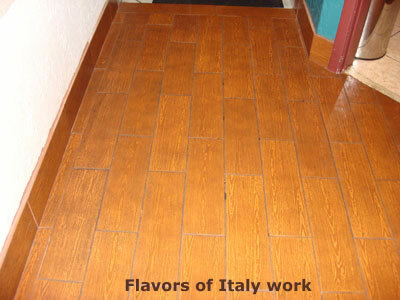 "Adilson from Acis Tile Of Florida did some tile work for me in my home, in Pembroke Pines. And we're very happy with the job that they did. And we have a minor problem with the grout afterwards and they came right out and they corrected the problem immediately and we were really really happy with the work. We recommend you, absolutely." "I am happy to have you back to finish the rest of the house"
to provide Mr. Ron's contact reference. Mr. Ron admired the marble setting that was completed--entire house). 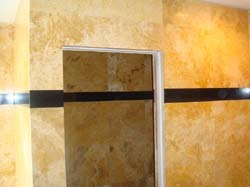 "I've met Romulo thru his website: www.CeramicTileFlorida.com There was a lot of references about their work. Their craftsmanship. They've made a wonderful job for us. We're extremely pleased. They're very patient, extremely helpful and they're totally professional. 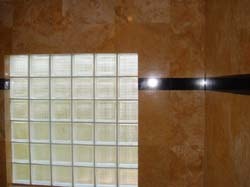 I recommend their services to anyone who wants to have some tiles installed or granite or marble. They're the experts in Broward county." "The work was great. Perfect, professional, efficient, no complains... It's a great product! Perfect! 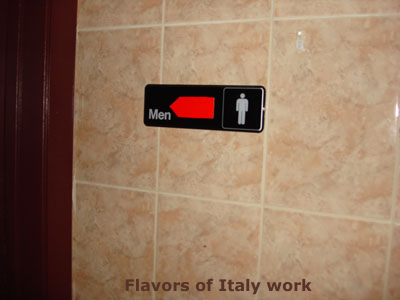 We will have them back to do the all the bathrooms, and do the baseboards. We're pretty excited with job. I would recommend you anytime." "You did a wonderful job. It was clean, professional and fast. The price was very good. The time, you came on time to get the job done." - We are here at the residence of Mr. Carl Bradley, in Cooper City, Also With Mr. Adilson. We came here around 6 months ago. Adilson did this bathroom. Let me show here the floor...everything is beautiful. - Mr. Bradley do you want to talk about the details of what was done? - Basically this used to be a tub and he put a new pan here, put tile on the wall, tile on the floor, form the shower and did everything else putting the shower fixtures. - This is a beautiful, beautiful work. What type of material is this? - This is Travertine marble in 12 by 12 inches. - On the shower floor is tumble stone 4 by 4 inches and also the seat. - What about this detail here? - This is listello 2 by 2 inches. - Your Bathroom is very beautiful Mr. Carl. - Do you recommend Adilson to other customers looking to have a bathroom? - yes, yeas I do. It was a good price that I was afforded and I'm very satisfied with the workmanship. - Wow! So 6 months later you still like very much. - Alright thank you so much Mr. Carl. Look how gorgeous is the floor. "I am very pleased with the work. I was very thrilled with all the recommendations and I am very very happy. They did an excellent work." 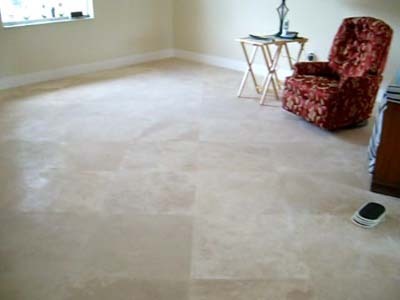 Glenn Moffetti 954-432-22** 1100 SQ FT of porcelain tile. 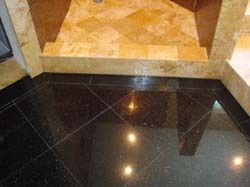 marco**@hotmail.com More Than 3000 SQ FT of marble. 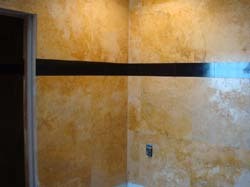 1 Master bathroom (marble installation). 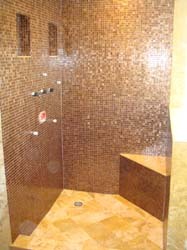 F: (561) 394-3464 We've installed hundreds and hundreds of SQ FT of ceramic tile for Mrs. Martha. 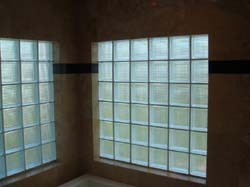 We will be glad to email you our list of references above with all the info once we provide you with a free estimate. 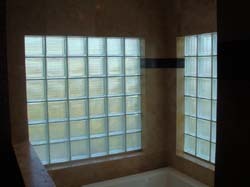 Copyright © 2000-2011 Acis Tile Of Florida, Inc.